With more than three decades in the hair and beauty space, my Brand-sales Mentoring Programs share in-depth industry knowledge and skills to connect your brands and products with salons, clinics and their customers. I can help you uncover what salon and clinics want, expect and need, from a sales and marketing perspective, to make them a loyal client of your brand. If they’re not buying from you, I can help you convince them to. If they’re tired of having to make too many choices in your category, I’ll help make you, their first choice. And best of all, I’ll help your sales team build a long-lasting, connected relationship that gives higher yield and satisfaction. Positioning your brand right amongst your sales team, their clients and customers, guarantees you an ongoing business and helps safe-guard the future of your brand. 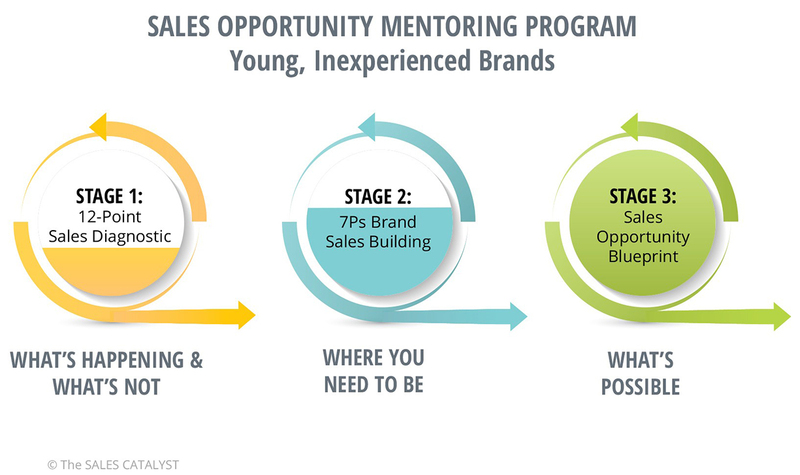 Our first step in my Sales Opportunity Mentoring Program, is to take a deep-dive into your brand and business. We’ll make breakthroughs by understanding what’s happening, what’s not and what’s missing. In assessing your brand, I combine a bespoke 12-Point Sales Diagnostic with the 7Ps of Brand Sales Building to unearth the opportunities that are hidden by a lack of clarity. Because I understand what really happens in the industry and your business, you only get advice that works in the real marketplace. The result from this deep-dive assessment, is a Sales Opportunity Blueprint for your business, that follows the 7Ps of Brand Sales Building, in the salon and clinic market. It will reveal your true openings for sales growth and stronger value propositions that are relevant to your clients and their customers. What is your brand’s true potential worth? Let’s find out. When sales and brand strategy are tightly connected, it creates a powerful story that drives both revenue and profit growth. 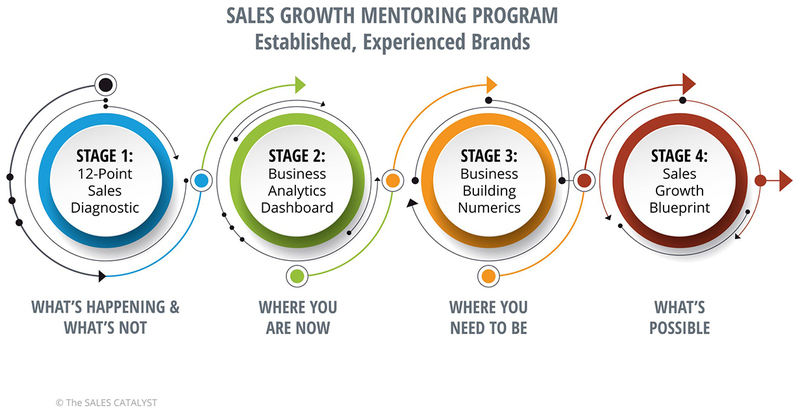 In my Sales Growth Mentoring Program, we address the market facing forces needed to reignite a brand’s sales, and realise strong growth in its chosen markets. Are your sales team not positioning your brand for maximum uptake? Are you seeking new avenues of revenue? Are you launching in an oversaturated category? Are your sales team maximising their call cycle and cold calling opportunities? Are you worried about future-proofing your brand sales in a cluttered market? If this is you, then you need a kick-start. My four-part program cracks your brand sales wide open and exposes its strengths, weaknesses, opportunities and threats. It teaches your team how to leverage your offering within the salon and clinic markets, overcome any barriers to purchase and ensure your brand becomes their first choice. Getting it right will be the catalyst for continuous sales growth, by connecting your sales and brand strategy. Let’s start. NEED ME, BUT NOT SURE WHERE I’D FIT? With the beauty and hair marketplace continuing to grow and the rising importance of both the clinic and practice sectors, it’s often hard to pinpoint where the most viable and profitable potential lies. Often brands and businesses aren’t sure where or how to use me within their growth plans… they just know they need me. As a consultant-on-retainer we can talk flexibly – across sales, structures, processes, profit and people, with options and timings across different projects you have to-hand. Perhaps you need me to review your sales structure and processes before you pursue a new avenue of revenue? Or drill-down into your sales reporting, call cycles and territory productivity? Or do you need induction or one-on-one training, on-road, for your sales team? No matter the issue, having me on retainer offers you the best use of my time, experience and expertise… especially if you’re unsure of a specific need. Let’s talk about how we can work together, so that it works for you. “We hired Neil about two years ago, having bought a hair care manufacturing and wholesaling business, and not having a deep knowledge of that industry. He came highly recommended by several industry insiders. Neil quickly understood our business, and provided a structured approach to play to our strengths, while aiming to expand the footprint the company operated in. He has a vast depth of industry contacts and knowledge, which he shares unhesitatingly. He is professional in all he does. We benefited from his expertise, and avoided many of the usual learning curve mistakes. “Neil’s business mentoring has been and will be one of the most rewarding business experiences I could have ever had. The transformation is something that is difficult to reflect in words but has become extremely evident to those surrounding me.